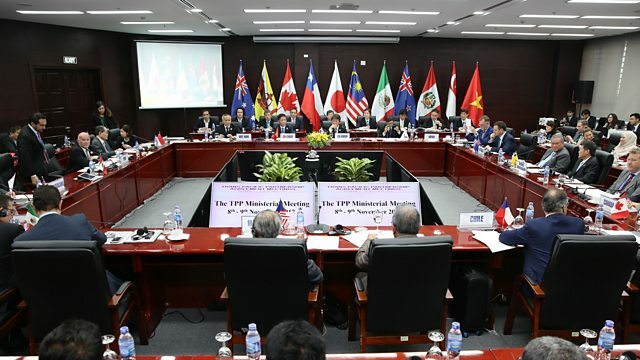 In Vietnam, eleven countries, minus the USA, agree progress on the Trans-Pacific Partnership. In Vietnam, eleven countries, minus the USA, agree progress on the Trans-Pacific Partnership trade deal. Also in the programme: refugees on Manus island and what next for Lebanon?